The Child and Youth Care: Foundations Course is a 34-hour learning experience that includes 30 classroom hours supported by on-line learning modules that introduce entry level practitioners to basic concepts and skills in professional child and youth work. The course helps practitioners development the skills and understanding needed to work in a relationship-based setting. Classes are typically structured as six 5-hour sessions with testing offered following course completion. Other formats can be used. Training for trainers is available (visit the TOT section of this website – or create a link here to that page). The classes are based on competencies for entry level practice included in CYC Certification requirements. These competencies represent knowledge and skills important to employment in any of the major practice settings in the field including: early childhood education, education, out-of-school-time, foster parenting, residential care, mental health, transitional living, recreation, juvenile justice, community youth services, and developmental disabilities. The CYC: Foundations Course is an up-dated version of the very successful CYC: Basic Couse. Over 1400 student have completed the course. All modules have been revised based on current best practices and recent trends in the field. Ethics for CYC Professionals and documentation training (Telling the Story) are offered as on-line modules to reduce class-time. Students can also access hundreds of on-line certificate and CEU courses at the Academy’s On-Line Learning Site. Many of the courses are free. Course catalog includes a wide range of topics including OSHA, leadership, non-profit program management, Microsoft software courses, non-harassment, and much more. An increased awareness, understanding, and sensitivity to how children and youth develop. An increased understanding of and capacity to engage in empowering interactions. An increased understanding of and capacity to work within and across systems (teams, families, cultures, and communities). An increased repertoire of activities and techniques for engaging youth in ways that will help them develop independence and Thrive. An increased capacity to guide youth and resolve interpersonal differences using brain-based approaches. An increased awareness of careers in child and youth work and the fundamentals of professional practice. An increased ability to pass CYC Certification Exams and become certified. Course participants receive access to on-line modules, manuals for each session, between-class activities, and post-training testing using the entry-level certification exam. 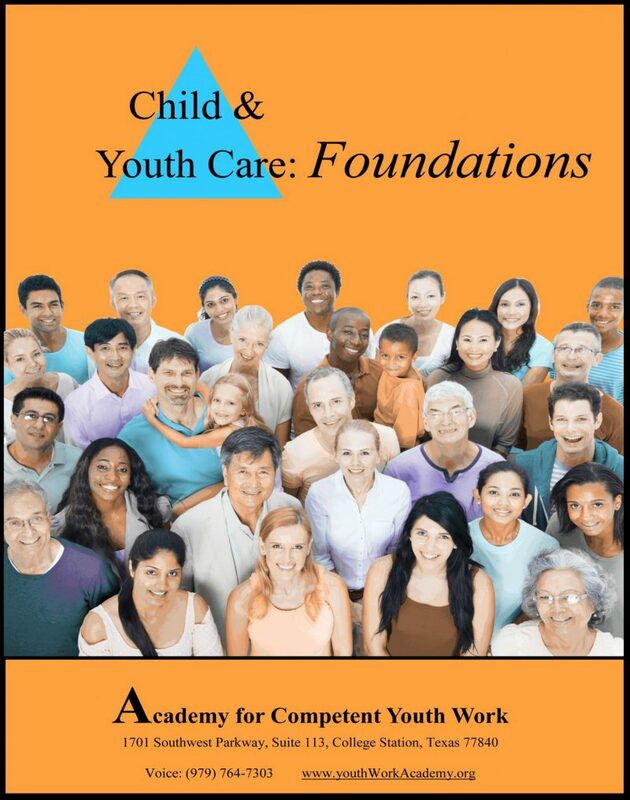 CYC: Foundations Course classes are designed to accommodate up to 40 participants. Typically classes contain between 10 and 30 participants. In-class activities are modified for groups smaller than 10 participants. Increasing class size reduces per person training costs and offers cost benefits.